Our friend Randy Savage in one of our early TV ads. 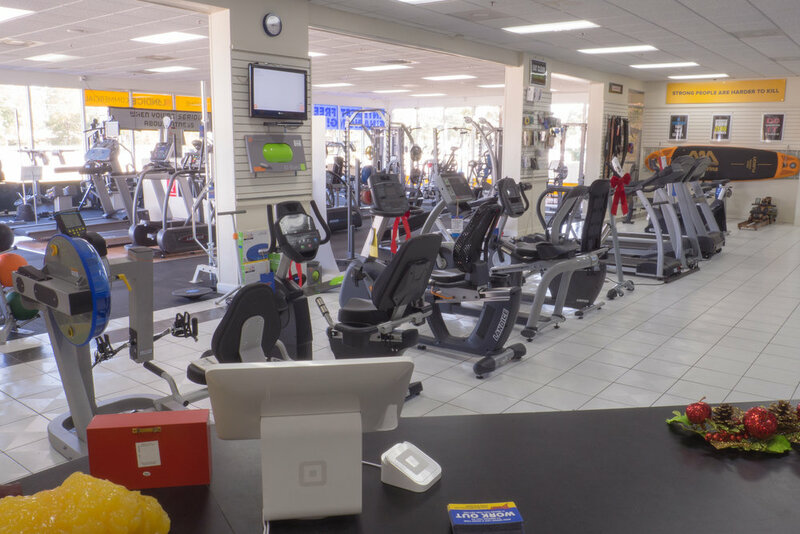 Bandit Fitness Equipment has been family owned and operated since it was incorporated in October of 1990, which means we're looking at 28 years of being your local fitness experts. 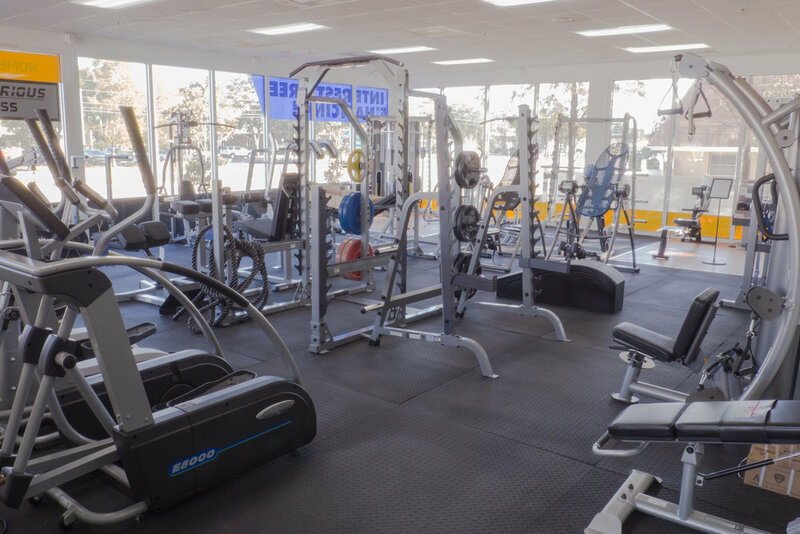 We specialize in fitness equipment because it's an area that requires specialization -- we're talking about more than just lifting weight. Everything comes down to your personal health and wellbeing, and we think everyone agrees: that's worthy of your time. Our sales staff is here to help you find what works for you, plain and simple. Everybody's needs are different, and some customers know exactly what they want, while some customers aren't so sure how to get started or how to take their next step, but it does't matter to us. We're comfortable helping you out no matter where you're at, or, we're happy to leave you alone too. Just say the word, and we'll let you look around and make your own decisions! 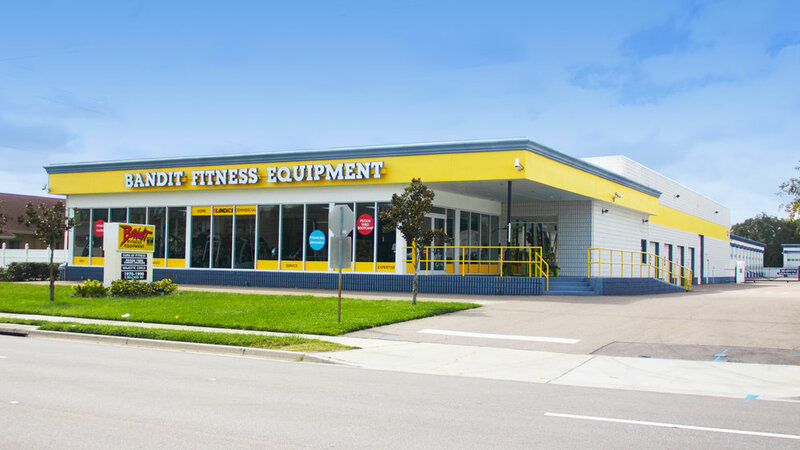 23,000 Square Feet is a lot of space, and it's full of new & preowned equipment to fit almost any need. The building is fairly well divided, so when you get here, you can go towards what you're looking for. The front showroom is mostly new equipment, with some exceptional preowned equipment featured as well. Through the hallway and in the back, we have a huge selection of high-quality preowned equipment (which you can see here.) We started to sell preowned equipment a number of years ago, and for many customers it's a great way to save some money and expand what they can accomplish within their budget. Where we come from, "meathead" is a compliment, but admittedly, not every one of us fits into that category. Whatever term you want to use, we practice what we preach. Our staff actually cares about fitness, and many of us have personal training experience. The point is, we know what we're talking about.